Bohyme Skin Weft Body Wave extensions come in 10 bundles (strips) of 100% Remi human hair. The wefts can be applied to areas that may need extra volume, length, or highlights. The professional grade adhesive provides a quick and easy installation process. 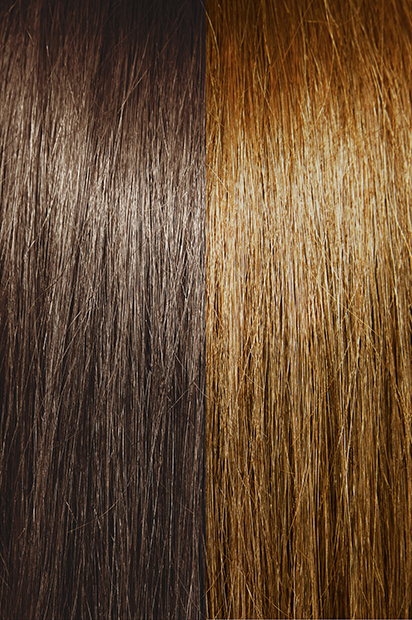 A tape or adhesive skin weft hair extension is a hairpiece made from human hair and can be attached to the wearer’s scalp by a specialized tape system. Small Strips of tape are used to sandwich a person’s real hair and the extensions. The application is similar to our SuperRemi Tape Hair Extensions. Body Wave extensions give you a large, roller set look. The waves will loosen and straighten out after washing. It is ideal for those who like to set their hair in rollers or simply like a hint of extra body.